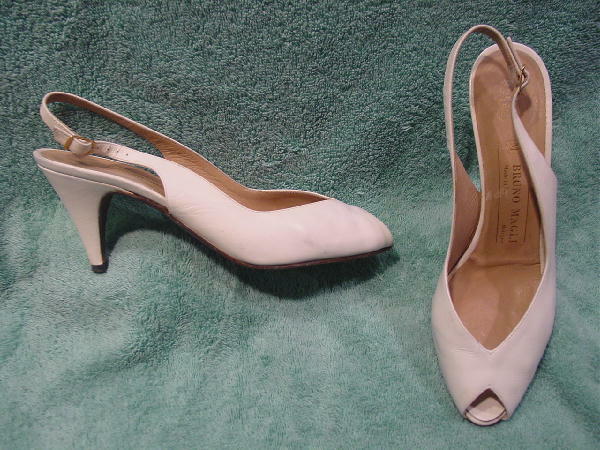 These white vintage peak toe slingbacks are by Bruno Magli and were made in Italy. They have sandy-tan leather linings, insoles, and white toe beds. 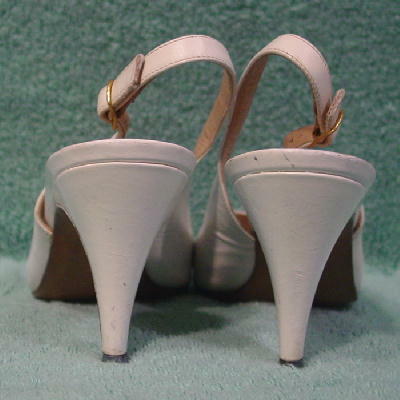 The soft leather has some wrinkles and the heels and shoes have a few grayish scuff marks. The right heel back also has a tiny indentation. They were worn years ago in several magazine photo shoots.